Come to a hearing on Senate Bill 300 (to raise the fees companies pay for sand dredged out of the Kaw) – January 30, 8:30am in Room 159-S at the state capitol. Since our inception in the early 1990’s, Friends of the Kaw has advocated that in-river sand and gravel operations move out of the river and on to appropriate land sites (pit mines) due to (a) irreparable harm done to the river’s channel, banks and ecosystem; (b) degradation of our drinking water quality; and (c) degradation to infrastructure such as public water intake supply systems and bridge structures. This year we worked with Senator Marci Francisco to introduce a legislative bill to raise the fees that in-river dredging companies pay the state of Kansas from .15/ton to .30/ton. Raising the fees for in-river dredging companies will be another incentive for these companies to move their operations from the river to pit mines in the Kansas River valley (see Lawrence Journal World article.) The hearing will be held for the Senate’s Natural Resource Committee on Thursday, January 30 at 8:30am in room 159-S at the state capitol in Topeka. Pit mines are more expensive to locate because companies have to buy or lease the land that the pits are located on and these companies also have to go through a sometimes contentious local process to permit the pit mine operation. We consider the in-river dredging fees as a lease payment to the state of Kansas as the riverbed is public property. The current rate of .15/ton a is bargain for the in-river dredging companies. 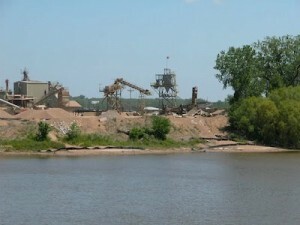 Friends of the Kaw has been told that if in-river companies paid at a minimum a fee of .50/ton for sand dredged out of the Kansas River that it would be comparable to the cost of leasing or purchasing land for pit mines. Doubling the fee to .30/ton, while not totally equalizing the difference in cost, would be an incentive for companies to move to pit mines and halt damage to the river’s bed, banks, habitat, and infrastructure. The Kansas River supplies drinking water to over 800,000 people and it is in the state’s best interest to protect the river from further degradation caused by in-river dredging. The state of Kansas should not be subsidizing companies that harm the river when better alternatives (pit mines) exist. The Kansas River has been commercially mined (dredged) for sand and gravel since the early 1900’s. Past dredging activities are documented to have caused significant damage to riverbed, habitat, infrastructure and water quality. 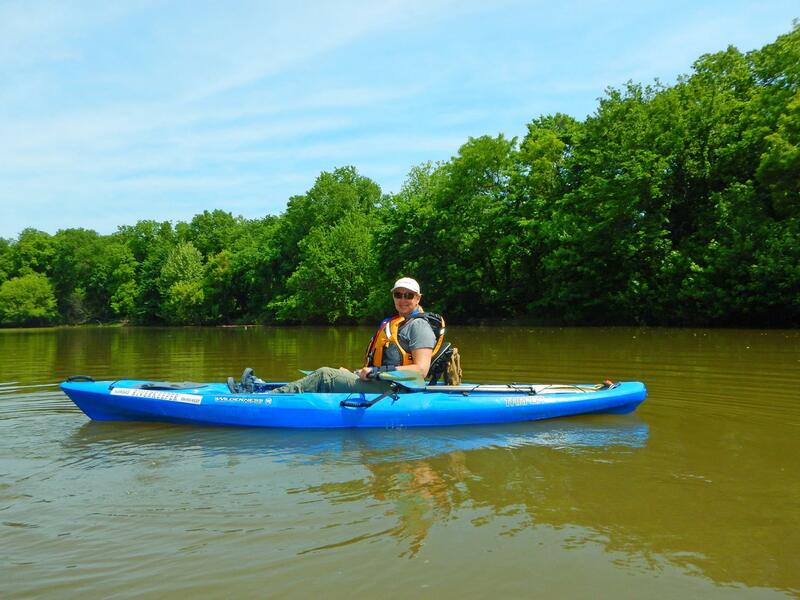 The river through Topeka and between Lawrence and Kansas City have been dredged for many years and show significant impacts when compared to sections of the river that have never been dredged. Weirs costing millions of dollars have been constructed to protect public drinking water intakes for both Topeka and WaterOne of Johnson County due to degradation of the river bed. The Kaw power plant owned by Kansas City Board of Public Utilities has been put in cold storage because water intakes can only be used in high water events.